Hosting a non-profit fundraising event for ERDO is an exciting way to make a difference in poverty stricken communities around the world. You can choose to raise money for a specific ERDO project or area of need. 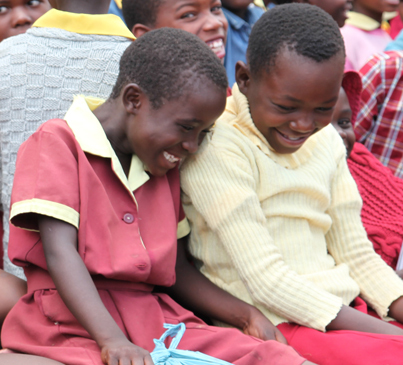 The money you raise for ERDO helps us empower children, their families and communities. By hosting an event you will be giving your guests a chance to give to lifesaving development work. Walk-a-thon, Skate-a-thon, Bike-a-thon, Swim-a-thon...- Let your imagination run wild with the possibilities for making a difference in the world through fun activities. Cupcake Auction- Are you a baker at heart? Use your talents to raise money for an ERDO project and spread a little cupcake love. Who doesn't love cupcakes? Silent Auction- Ask businesses in your community to donate items that can be auctioned off to make a difference. Make Believe Tea Party- A twist on a traditional tea party. Send invitations to your guests with a tea bag. Note the time and date so your guests can enjoy their tea from the comfort of their own home. Ask them to give to a family in need in exchange for their tea. Pajama Day- Arrange with your school to host a pajama day. On the special day students and teachers will be able to wear their pjs for a small cost to them. The money raised could help children in one of the areas that ERDO has child sponsorship. Make Your Own Cookbook- Gather your friends and have them share their recipes. Create a personalized recipe book and sell them. The money raised could make a difference in an area that is struggling to have food for their family. Host a Spelling Bee- Are you a pro speller? Share your talent for words and change the world at the same time. Assign a few judges and ask friends to come and compete. Ask for an entrance fee. All funds raised could help a water project. Concert- Give your musical friends a chance to show off their talents for a great cause. Ask people to buy tickets. You'll be providing a fun night out and be changing the world at the same time! Child's Birthday Party- Ask your guests to give to an ERDO project rather than giving gifts for a child's birthday. Tell them about how their gifts will help people in need.